A belated thanks to everyone who came to the londonunderlondon event two weeks ago at Gasworks, and of course thanks to Kodwo and the Otolith group for organising it, and to Sukhdev for appearing on the panel. It was great to hear the piece repotentiated so long after it was produced. Partly what is inspiring to me about listening to it again is that the form - Kodwo called it an 'audio essay' and a 'sonic fiction' but neither description seem quite right - is crying out for further exploration and extrapolation. If music gives every impression of being exhausted, then the possibilities for combining sound and voice hardly seem have to begun to be investigaged. I've always thought that he piece functions well as an Ambient, something whose drifts listeners can themselves drift in and out of. 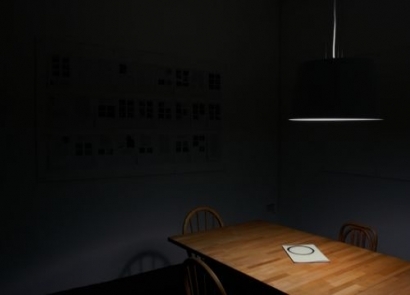 Yet playing it to a group in near darkness revealed that it functions most intensely when subjected to collective deep listening. This kind of deep listening is rare for any kind of sound piece now, what with network pressure and mouse twitch inducing a constant migration of attention across the digital matrix. It could even be said that the piece was transformed by such an act of collective listening. Here we could perhaps extend Jonathan Beller's arguments in The Cinematic Mode Of Production about how looking adds value. Beller mordantly observes that economic value is created now not primarily by a worker acting on raw materials but by people consuming images - "to look is to labour", in his infamous phrase. If an image is made and no-one consumes it, it has no economic value - the attention economy's solution to the old idealist problem of 'if a tree falls in a forest and no-one hears it, does it make a sound?' Yet what about other types of value beyond the narrowly economic? And how might listening function differently to looking? One often dreams, or rather fantasises, about sharing with others a particularly intimate experience of music but the experience of playing music either to a little other or to a bigger other (a crowd) rarely matches up to the fantasy. In the first example, because the music cuts through conviviality too much: it is as likely to produce embarrassment as a shared enjoyment (or enjoyment of the other's enjoyment). The intimacy of music produces an ontological rupture, a disruption of the face to face, something captured in those uneasy and uncomfortable moments in musicals when someone first begins to sing. The lesson of musicals is that the Song can never be smoothly sutured back into the social (and it was of course Dennis Potter who did most to examine the difference between the social-as-symbolic order and the Real of the songs). In the second example, the case of playing intimate music to a crowd, the intimacy is usually lost in hubbub of sociality. What was interesting about deep listening at Gasworks was that the social was suspended in order to produce what Kodwo called a 'collective intimacy'. 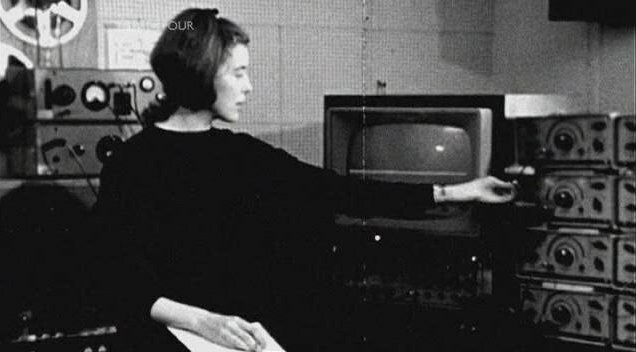 This was a different mode of collective experience both to the radiophonic collectivity of the original broadcast (people in different locations listening to the same thing) or to the still-standard images of collectivity as the clamour and rabble of a street crowd. Another thing that occured to me after Gasworks is just how mutable londonunderlondon is, how much the way it sounds depends upon the system it is played on oand the space that is played in. Partly this is a consequence of 'bad' mixing, a reflection of my incompetence but also the limitations of the technical set-up we were using. But I love the fact that the piece was done with a Jurassic PC, a cheap mic and a minidisc recorder and mixed using tiny computer speakers: that's k(yber)-punk. The sound is in no sense normalised; on the contrary, it is volatile and eratic; voices which can be discerned on some systems and with some EQ set-ups are obliterated on other systems and in other spaces. I'd never heard before londonunderlondon played as loud as it was before Gasworks, and at times like a Noise piece, or rather, at points it was as if the electronic Noise was eating the voices. One other factual quibble with Mountain*7. I know that londonunderlondon was billed as 'my' audio-essay; but, as the event made clear, Justin Barton was at least my equal partner in conceptualising it and producing it, so I hope that it will be attributed to both Justin and myself from now on. btw, should anyone be interested in the the text I wrote for lul, it's here.